This is a guest post by Dr. Asim Sahebzada, Ph.D. who is a geo-scientist and hails from Pakistan. 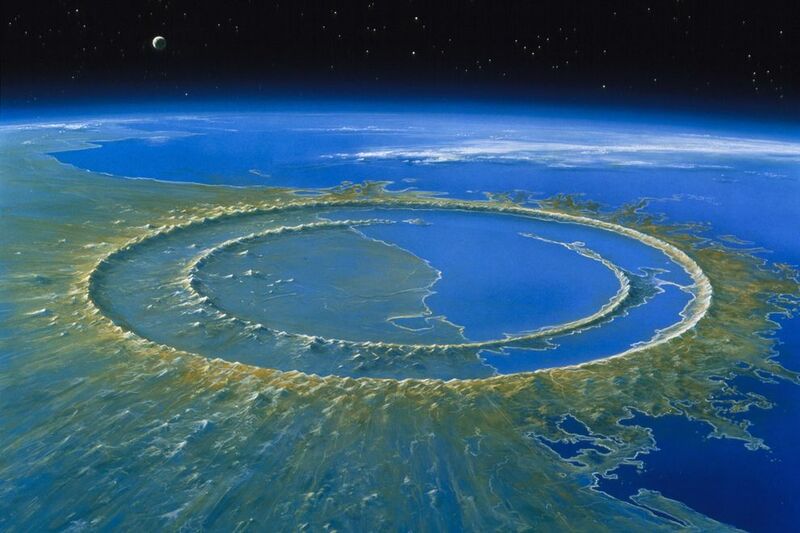 Mesozoic (or middle life) came to an abrupt end when an asteroid struck the Earth creating Chicxulub Crater, just west of Mexico’s Yucatan Peninsula. The intruding body was six miles across and unleashed the power of hundreds of thousands of atomic bombs. 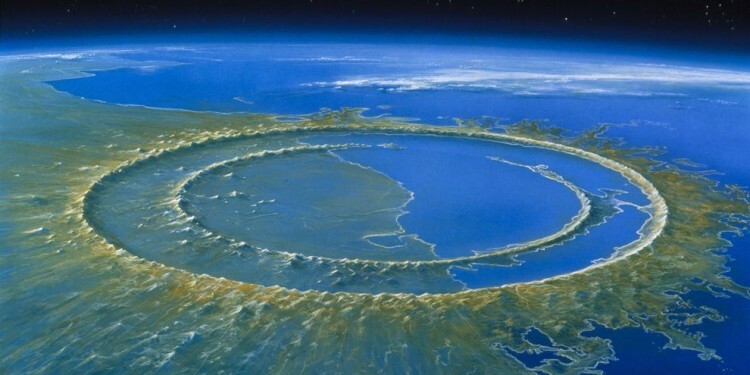 The effects were widespread from the Cretaceous-Tertiary (or K-T) mass extinction and one estimate is that there was complete blackout of the sunrays for at least six months and the skies remained murkey for at least 10 years. This basically killed all the photosynthetic activities on the Earth’s surface which are essential for living organisms. The increased volcanic activity around this time (e.g., creating the Deccan flats in India) made things even more complicated. Imagine the problems these events created for the living organisms including the big guys! Dinosaurs, owing to their large size, could not withstand the catastrophic events and most other organisms failed to adapt to the emerging climatic conditions. Bipedal locomotion, dentition, larger brains as a proportion of body size, flat nails as opposed to claws, long juvenile periods and communication through well developed languages are traits that separate humans from other primates (gorillas, orangutans, baboons, lemurs, chimpanzes, gibbons, macaques, monkeys and apes). These genetic and ecological adaptations are a product of mutations and natural selections and took millions of years to arrive at the current state.